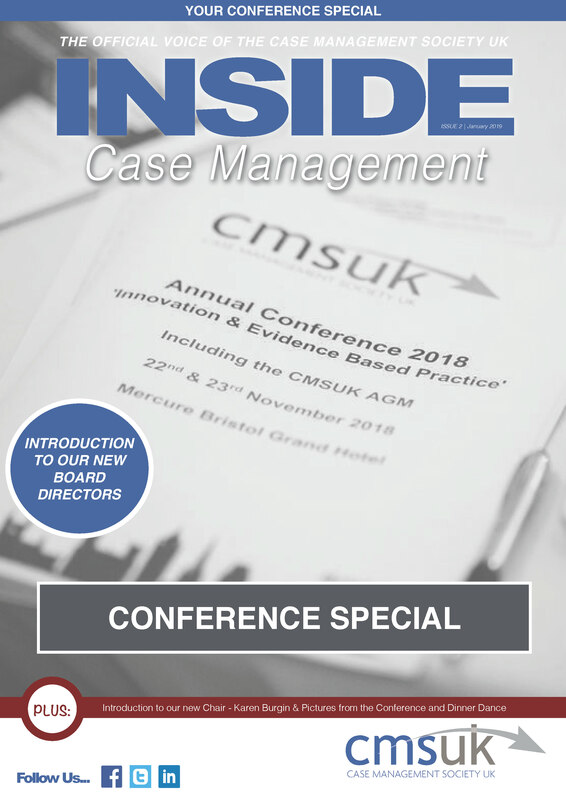 CMSUK are excited to present the latest edition of the Inside Case Management e-Magazine developed by CMSUK for its members and the Case Management industry. We hope you enjoy this '2018 Conference Special' and look forward to hearing your feedback. Should you wish to contribute to the next issue proposed for May 2019, please do make contact with us. Please click the image to download/view the e-magazine.